Durable long-life products, to fit your needs. 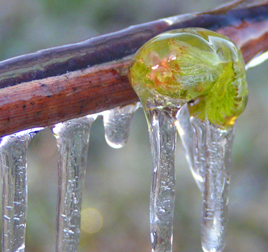 When you need your frost protection, the last thing you want to worry about is your pump engine going down. 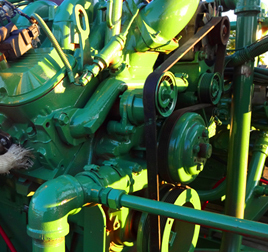 TGP West has the latest in natural gas, diesel and gasoline motors. We provide durable long-life engines, to fit your needs. 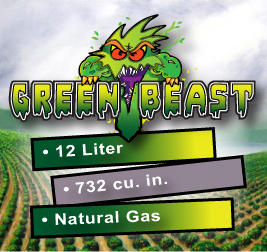 Introducing our latest natural gas engine, the Green Beast! Unlike anything on the market, this natural gas engine is powerful, durable, clean burning and with a price tag that undercuts all of the competition! Learn more about this Beast! Natural Gas, Electric or Diesel? How do you maintain profitability in todays market? Water management! Choose from the best in durable long-life irrigaiton pumps stations, engines of multiple fuel types and generators, from TGP West. Call us at today to learn more. Continental Controls Carburetors are fuel control products for natural gas engines and gas turbine engines. 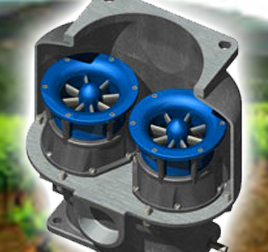 Using a CPU, these fuel valves provide a quick and efficient response to load changes. Increase efficiency and save money with a CCC! Forecasters blame a “ridge of high pressure” that settled over the state, around Christmas 2014, for shielding California from storms, just as it did in December 2013. TGP West is an irrigation pump solutions company that is known for it's dedication to the research and development of the latest, most efficient pumps, engines and generators.